The death of a loved one almost always triggers difficult emotions, but it’s even more traumatic for the families of those who have died by suicide. Whether the person is a celebrity or someone not known outside his/her immediate circle of friends and family, the death is tragic. A troubling trend: Suicide rates have risen dramatically in the US—by more than 30% since 1999 in some states—leaving an increasing number of people struggling with this particularly tragic loss. Families are often left wondering why their loved one chose to die. While mental health issues are frequently assumed to be the driving force behind the suicide, a recent analysis published in Morbidity and Mortality Weekly Report shows that more than half of people who died by suicide had no known mental illness. Of those who die by suicide with a known mental illness, just over half were receiving mental health treatment at the time of their death, according to the analysis mentioned above. Other risk factors for suicide include problems with relationships, poor physical health, unemployment, financial troubles and substance abuse. There is also emerging evidence that genetics may play a role as well. Regardless of whether mental health issues played a role, family members are likely to be wrought with conflicting emotions, including anger, confusion, grief and guilt. Family members often ask themselves if they missed any warning signs…or if they did enough to suggest help or to intervene in any way. While these questions may seem logical, it is not fair to assume that anyone—even a spouse or a parent—has control over the actions of another adult. So questions from news media or well-meaning friends that allude to “missed signals” can be unnecessarily painful to family members. Stick around. Family members may already feel stigmatized and awkward around others. Often the grief is more intense in the months following the death than in the immediate aftermath. Be ready to listen…but also remain respectful of wishes to not talk about the death. Do not ask for an explanation. The survivor is likely already searching for answers and such questioning can feel intrusive or even subtly blaming. Recognize that the loss of someone to suicide is different from other deaths. It was a sudden, intentional act that may have been violent and likely traumatic, particularly for those survivors who discover the suicide. Understand that family members are grappling with mixed emotions and may be preoccupied with trying to understand why their loved one chose suicide. Offer help with practical things. Ask “What can I do to help?” and also offer to pick up groceries, prepare meals, walk the dog, water the garden, etc. Or just drop off freezable dinners that can be easily reheated at a later date. Offer to help the survivor find additional support. 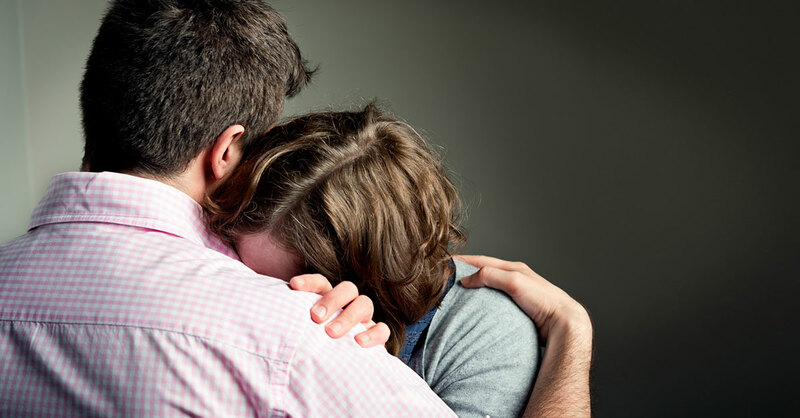 Support groups and counseling with a mental health professional who specializes in bereavement can provide a source of comfort and understanding for a person who is grieving.